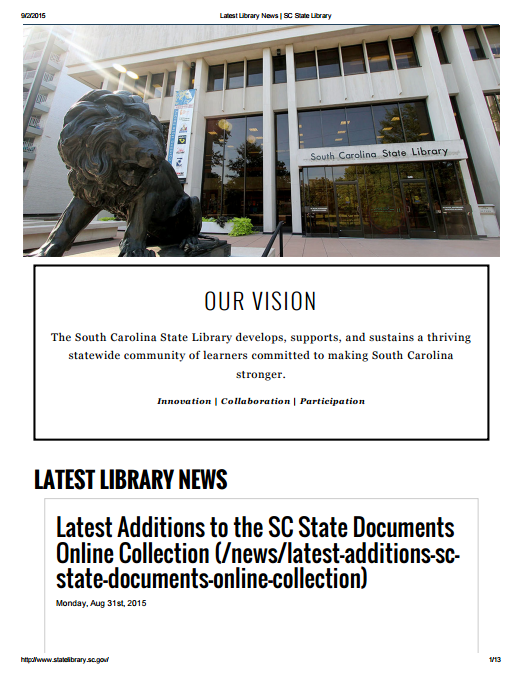 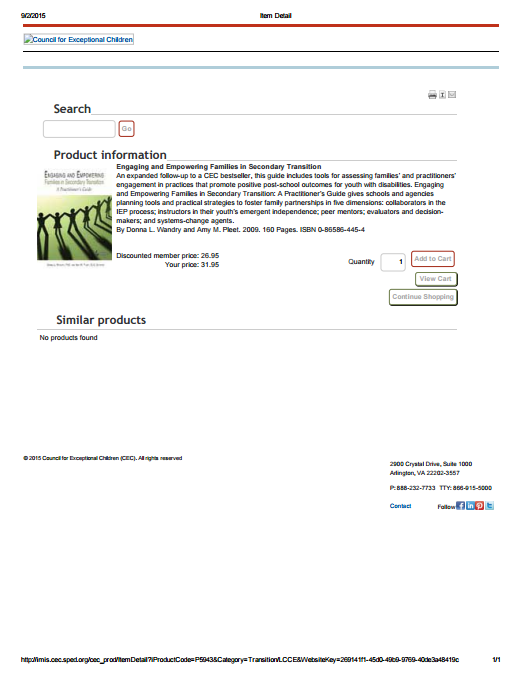 A website built to strengthen and encourage families of children with special healthcare needs through parent support. 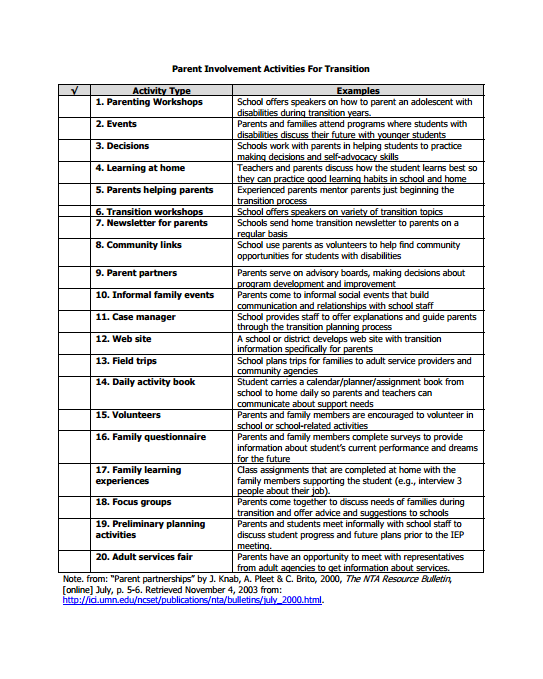 A guide including tools for assessing families’ and practitioners’ engagement in practices that promote positive post-school outcomes for youth with disabilities. 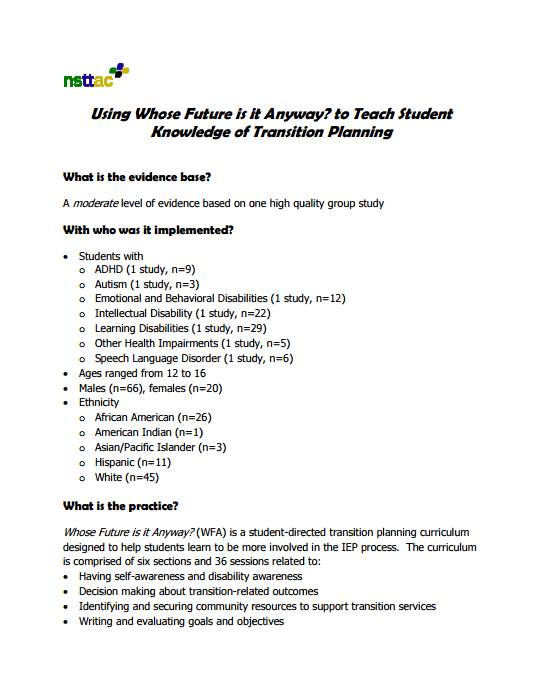 A series of webinars and resource sheets s featuring key experts who have worked on different aspects of suspension and expulsion, including policy, research and data, and prevention/intervention. 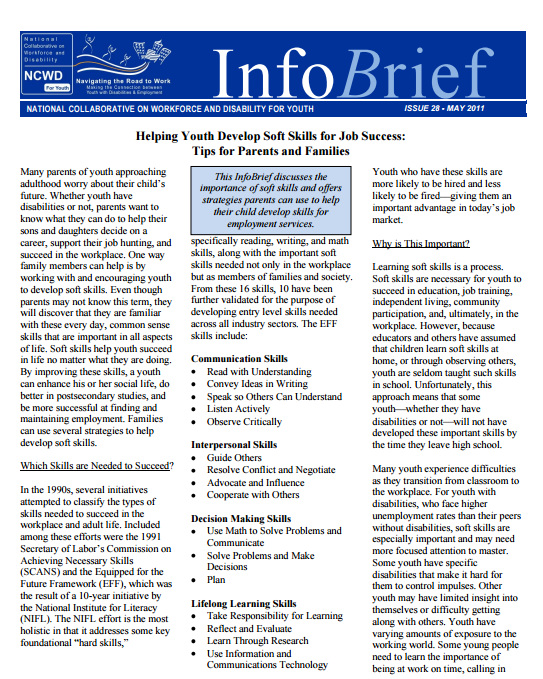 This manual will help you work (collaboratively) with your school to get the most appropriate services for your student. 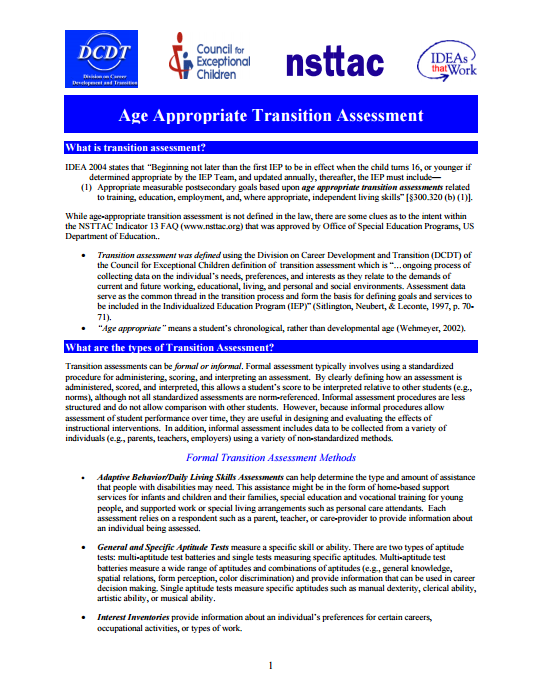 A checklist providing tips and practices that allow parents to assist during critical transition periods. 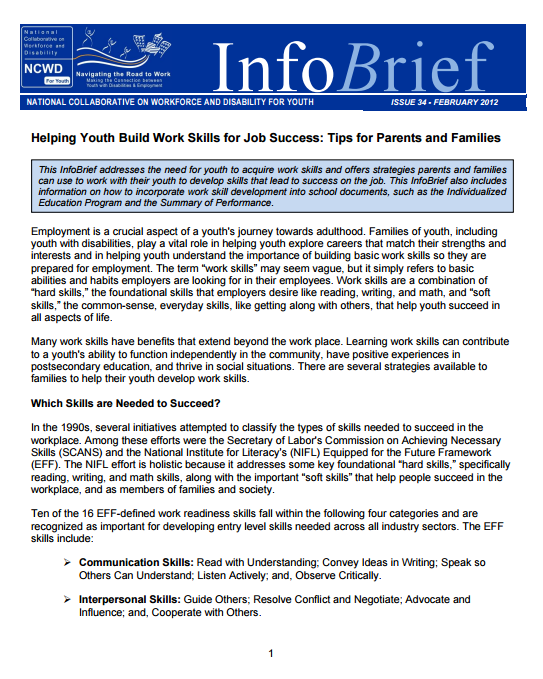 This InfoBrief addresses the need for youth to acquire work skills and offers strategies parents and families can use to work with their youth to develop skills that lead to success on the job.